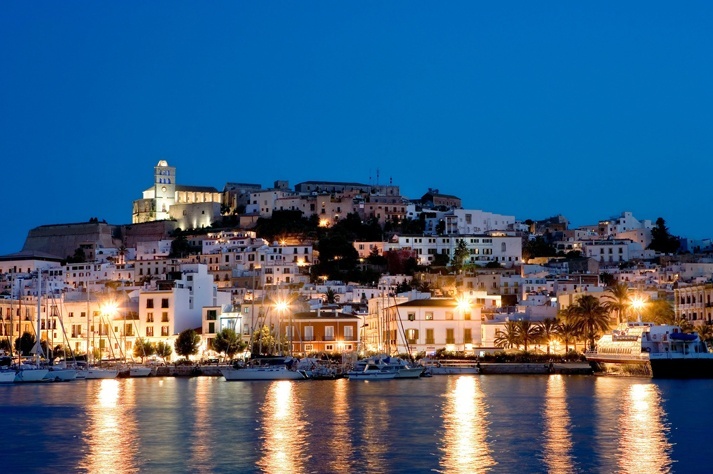 Ibiza is not short of restaurants and beach bars with excellent see views. 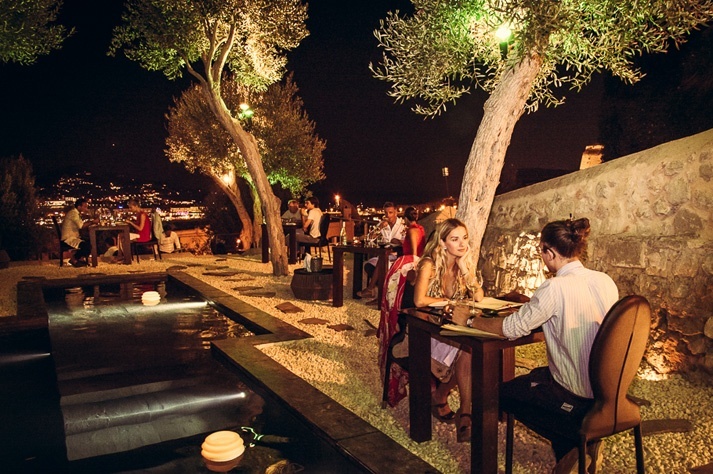 But at night, from which restaurant can you enjoy a good meal with a great view? 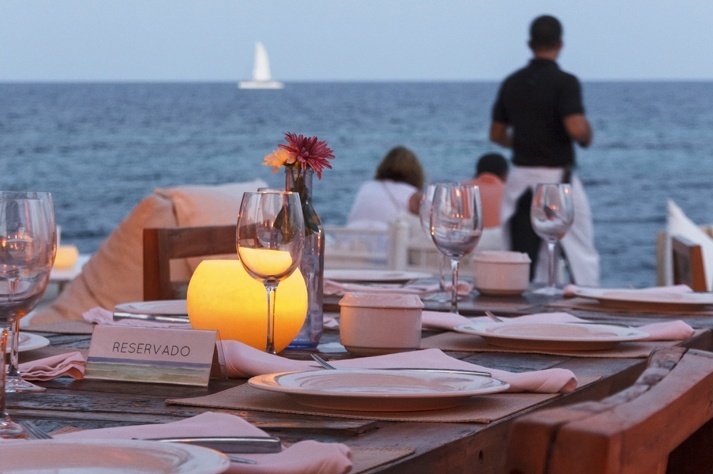 If you are looking for a romantic table with a view, get into your car rental in Ibiza and discover our following choice of restaurants and beach bars. From the top of Dalt Vila there are marvellous views of the city and its port. Find out at Kyupiddo (kyupiddo.com), the romantic restaurant that belongs to the luxury hotel Torre del Canónigo, that has a well-designed Japanese-inspired menu. Other tables with a view are the ones at s’Escalinata (sescalinata.es), a simple cafe located next to Portal Nou where you can eat great-tasting sandwiches, rolls and salads. And for a panoramic view, book a table at the new hotel boutique Casa Maca, which has sophisticated Mediterranean cuisine dishes on its menu. There are many places from which to enjoy a nice dinner with a great view overlooking the island’s most beautiful bay. Make a booking at S’Avaradero and Es Nàutic restaurants (esnauticrestaurant.com), located at the marina, if you’d like to eat fish. On the other side of the water, at the end of Es Pouet beach, you will find Es Pouet beach bar, where you will be able to eat tapas right next to the sea shore. Inland, there are also restaurants with a far view of the bay and cape Nonó, such as Es Vergé pizzeria and Can Pujolet restaurant. 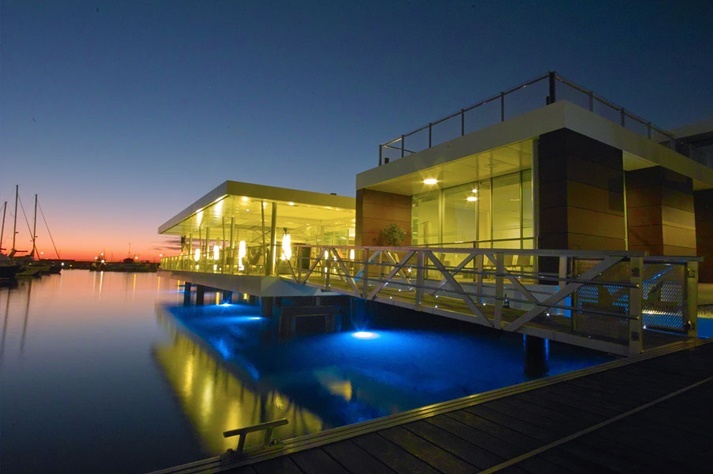 Dining at Marina Botafoc always comes with a view. Make a booking at Sa Calma if you fancy quality fish or at Temakinho (temakinho.com) if you’d rather have a taste of exotic flavours from their fusion cuisine. If you don’t mind being slightly further away from the view, you will also be able to see Dalt Vila’s iconic profile from Cuatro Latas beach bar, located at Cap Martinet, at one end of Talamanca. At night their offer is much more limited than during the daytime, but their fish is always fresh. Restaurants that stand near the sea don’t usually offer a good view during the night, unless there’s a full moon or a crescent moon. If it’s the case, it’s worth making a booking especially at S’Escollera restaurant’s terrace, at Es Cavallet beach; at Hostal La Torre restaurant, with a view of Sa Conillera island; at Amante restaurant’s romantic terrace and at S’illa des Bosc, with a view of the island that gives it its name and of Poniente islets. If you do not have your rental car yet, check out our cheap offers and book your favorite model today. 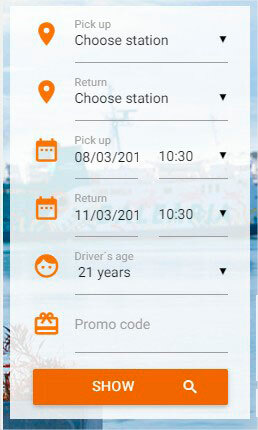 We will deliver the car to you at the airport terminal. This entry was posted in Gastronomy and tagged gastronomy, restaurants, Romantic Ibiza. Bookmark the permalink.